>> Maybe there are adults out there who still use their cursive-writing skills. I don’t use them anymore, except to sign my name. Even when I write thank-you notes or birthday cards, I only print. Now, my cursive was never beautiful – my middle school English teacher gave me B’s in spelling because my handwriting wasn’t uniform enough. I’m still bitter. Cursive has proven to be, for me at least, an antiquated and useless skill. >>My occupational therapist friends would disagree . 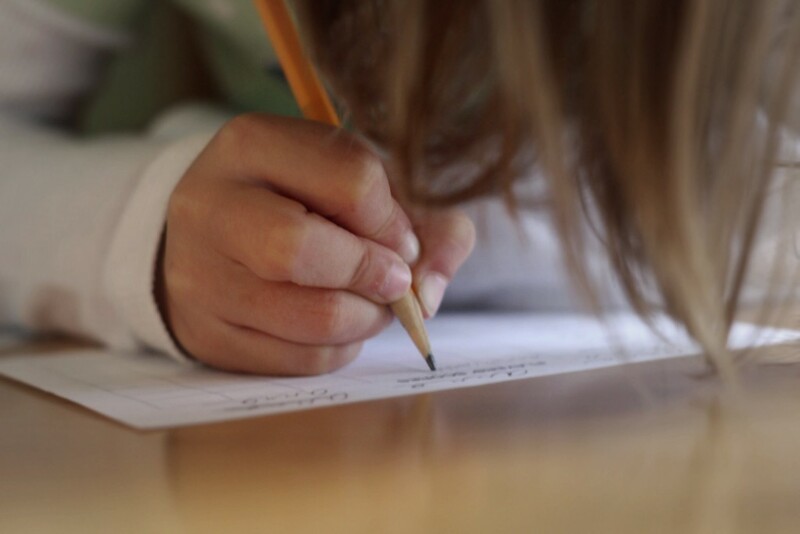 There’s research that supports a connection between handwriting and literacy development, cognitive development, and fine-motor skills. (There’s also debate about whether cursive is really necessary, or if >>learning to print legibly has the same benefits ). Zaner-Bloser, a for-profit company that sells handwriting instructional materials and calls cursive “a fundamental right,” put out this >>video to offer its perspective on the benefits of cursive. Zaner-Bloser is also where >>Rep. Pat Hurley got her information when she sponsored >>a bill requiring schools to teach cursive writing and multiplication tables. The bill has already passed the NC House and is now in the Senate. It’s not that students in North Carolina are no longer learning cursive; they are. But the skill is not included in the new Common Core Language Arts Curriculum, which North Carolina and many other states have adopted. In this age of intense standardized testing, it’s understandable that schools would not want to spend time teaching their students a skill they will likely stop using by the time they reach high school. The success of this legislation, which Zaner-Bloser has been pushing in other states as well, raises a couple of questions, regardless of what you think about the need for cursive. First, at a time when our state leaders seem skeptical of everything they hear from the federal government and even >>local elected officials , why are they >>so quick to go along with ideas presented by private companies? Second, even as state leaders are considering cuts in >>teacher-assistant positions and >>teacher pay , will they increase funding to pay for occupational therapy and extra assistance for students who struggle with cursive? And, most importantly, will a teacher be allowed to lower a student’s spelling grade because of the quality of their cursive? Because really, that’s just not fair!